Heart has clung onto its place at the top of the national radio listening charts, despite an audience drop-off in the first quarter of 2016. 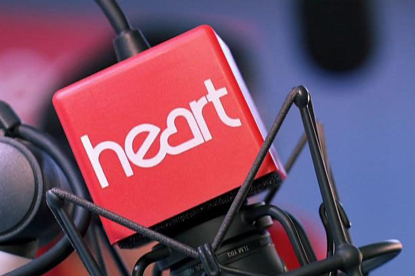 Although the Global-owned station didn’t quite match up to its record 9.15 million listening figures of last quarter, Heart still attracted more than nine million weekly listeners, according to the latest Rajar radio figures covering the three months to 3 April 2016. A 1.5% fall in audience over the quarter took Heart to 9.01 million listeners – although this was a slight increase of 0.3% year on year. Stablemate Capital continued the strong performance it showed in London with year-on-year growth of 7.9% nationally. The network kept its second place spot with an average weekly audience of 7.55 million, while Global’s Smooth remained in third place with 5.41 million listeners. Global's executive president, Ashley Tabor, said: "This is a great card for Global overall and a phenomenal result for Capital. We’ve stormed ahead in London and across the UK. I’m incredibly proud of the whole team at Global and Capital." However, unlike in Q4 of 2015, when Global stations dominated all four of the top radio listening places, its Classic FM brand took a step back into fifth place behind Kiss, after losing 7.3% of its listeners year on year and 7.2% on the previous quarter. The fall in listeners was also reflected in Classic FM’s breakfast offering, with the audience of the 6-9am show dropping to 1.49 million, down 14.2% from 1.73 million a year ago and down 16.7% from 1.78 million the previous quarter. In contrast, Bauer Media’s Kiss FM had significant growth of 9.9% year on year, pulling in 5.39 million listeners compared to 4.91 million in the first quarter of 2015, although this was only a tiny 0.1% rise on Q4 2015. Bauer’s Magic also had a decent run, with a quarterly increase of 3.2% growing its audience to 3.43 million, compared to 3.33 million in the previous quarter. Bauer Media’s group managing director radio, Dee Ford, said: "Nationally we are reaching more listeners with our flagship brands Absolute Radio, Magic Radio and Kiss Networks. "Our long-standing market leading position in the digital commercial radio space continues as significant audience growth is delivered from our strong and much-loved brands." Overall, national commercial radio stations recorded 18.22 million weekly listeners in the first quarter of 2016, up 6.3% on the same period last year.